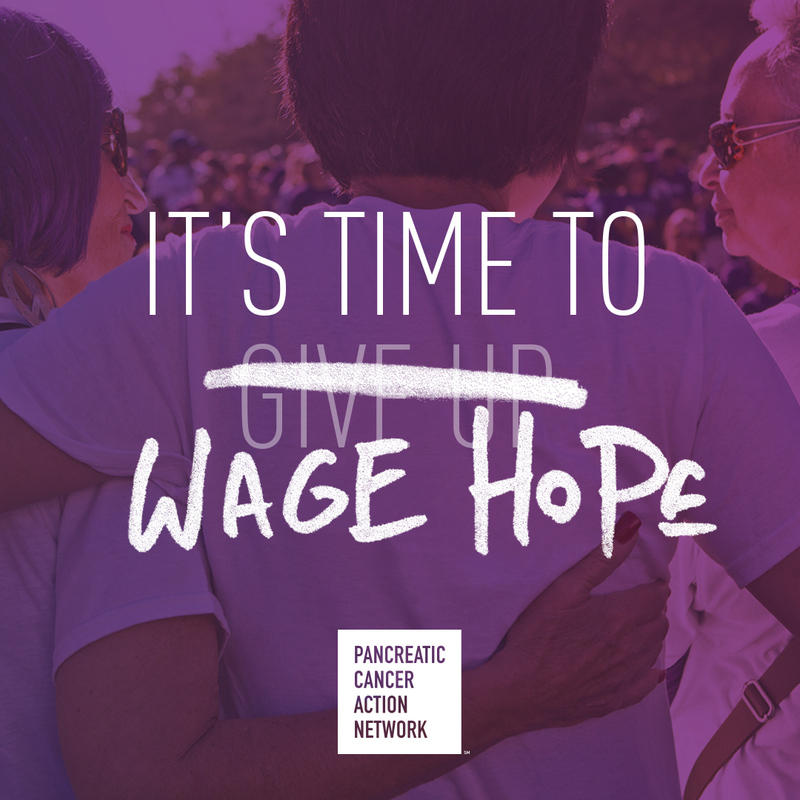 I realized I hadn’t checked in for about a week and I didn’t meant to take a hiatus…I just haven’t felt like I had a ton to say while I was working on lots of little thing. I’ve been a bit preoccupied with work, teaching (I never consider it work because it doesn’t really feel like it), a trip to Louisville, Kentucky for the long weekend and then a little upcoming mandatory down time (I have to have a minor surgical procedure that will require me to rest this weekend – which means knitting and dog snuggles are required). But throughout everything, I still knit. So one of my latest hats (I told you, 2018 is the clearly the year of the hat for me) is another Karite hat. You may remember the one I made in black in December as a gift. 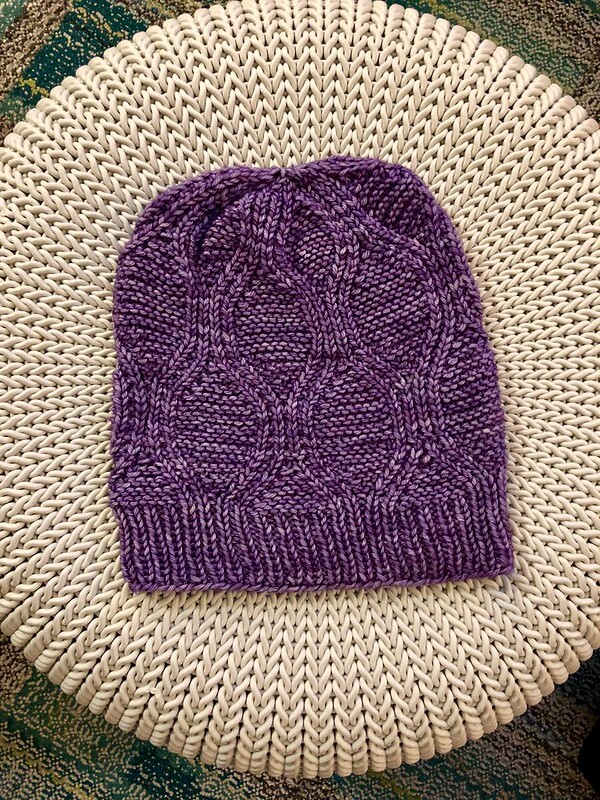 This is a lovely purple version using the Fiberist Audubon Worsted for my girlfriend Alisa. 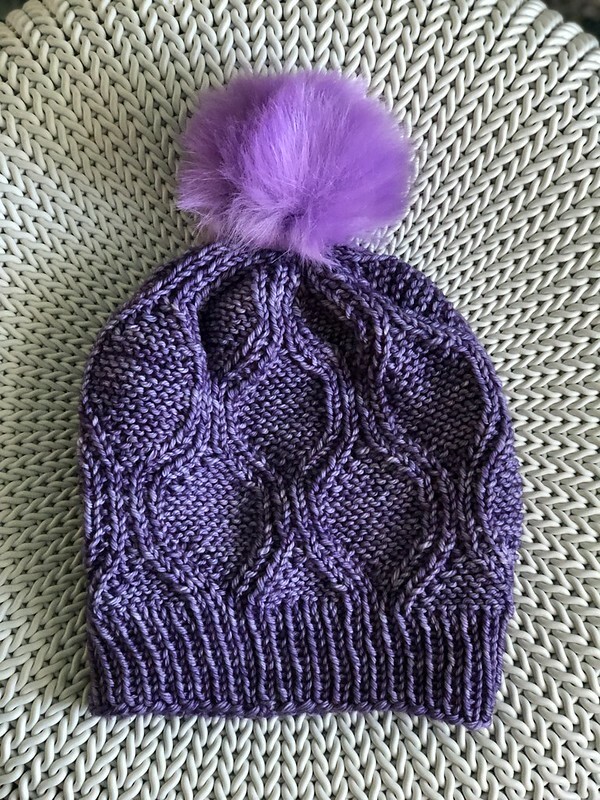 She asked for a simple purple hat and I thought this would fit the bill. Also, this is a really yummy yarn to work with. I loved the color and it just felt great while I was working with it. I’m interested in trying more! Also I try on all hats before they are given way. I have to make sure they fit! 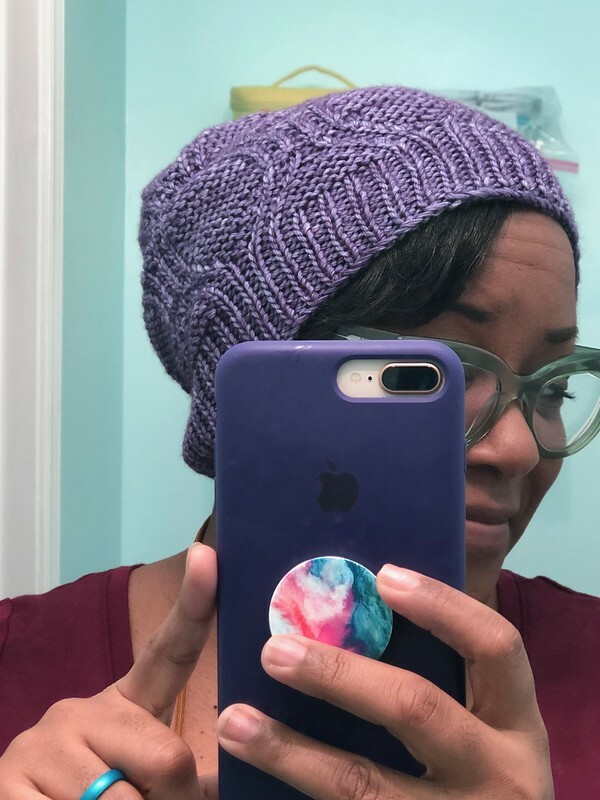 I love the look of this hat pattern and totally have intentions to make it in an off white version for myself…I just never seem to get around to it! I also offered to put a pompom on it and she declined. I told her she was no fun. I feel like most hats require a pom on top. It just ups the cuteness factor by like 200%! So I just wanted to pop in to say yes, I’m still here and plugging along but I might quiet for just a bit longer but I’ll be back! Knit on my friends! Your hat is gorgeous. I agree – the pompom is super cute. At your recommendation, I purchased the Karite pattern. I’ve now made four of them and am working on a fifth. So thanks! Fun to see how they come out in different yarn. My favorite so far looks very much like the one you just finished although I used Madeline Tosh Pashmina Worsted. I’m also using a smaller needle for the brim–tightens it up a it. Take good care of yourself! Looking forward to more hats when the time is right. I love a good pompom too, but all the Folks I’ve knit for decline as well. Maybe the beanie look is putting the pompom on Hiatus for a while. I say long live the pom pom! So cute! The pom pom would have been icing on that cupcake!